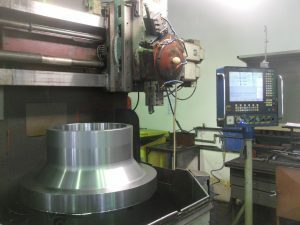 Vertical lathe SKJ 8F | BRAVO Loštice spol. s r. o.
Bravo Lostice Ltd. use vertical lathe SKJ 8 F (carousel) for material turning. Carousel is intended for turning of exterior and interior cylindrical and conical surfaces, frontal areas and threading.